Announcement Welcome to Sissy Little where we specialize in wall decals that instantly transform your decor! We use the highest quality vinyl to ensure the perfect design every time! Thank you for visiting us! Please take a look around, enjoy the fun, and send us a conversation if you have any questions! 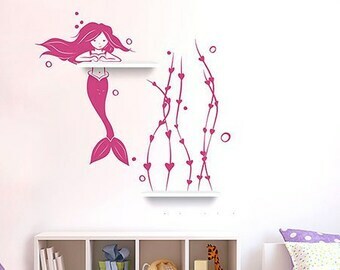 Welcome to Sissy Little where we specialize in wall decals that instantly transform your decor! We use the highest quality vinyl to ensure the perfect design every time! Thank you for visiting us! Please take a look around, enjoy the fun, and send us a conversation if you have any questions! SissyLittle is dedicated to offering products that inspire imagination and innovation in the design of your homes and offices. Whether you are a full-time artist, interior designer or weekend warrior, we want to help you transform your space to reflect your own personal style.